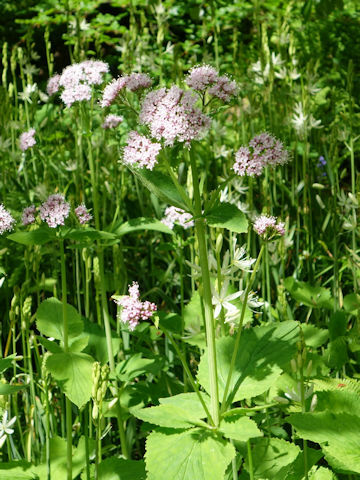 Pyrenean valerian (Valeriana pyrenaica) belongs to the Valerianaceae (the Valerian family). 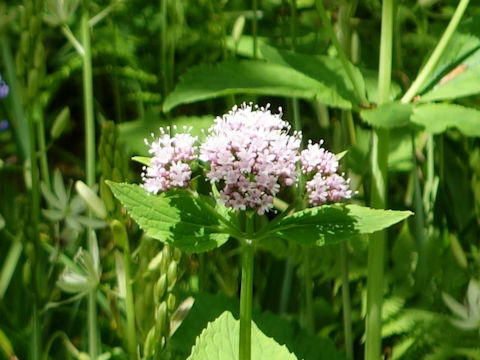 It is a perennial herb that is native to the region of the Mediterranean and the British Isles. This herb grows along streams, waterways, and in beech, fir, pine forests, and it can reach about 2 m in height. The stems are erect. The basal and lower cauline leaves are ovate, cordate or orbicular, with petioles, and arranged in opposite. The tiny pale pink flowers bloom in a compound cyme from June to July.